In August, EASE put out a call for responses to a survey we were conducting as part of our research outreach programme. The results of this survey have now been published in How prevalent are plagiarized submissions? Global survey of editors, by Pippa Smart and Thomas Gaston, in the current issue of Learned Publishing. 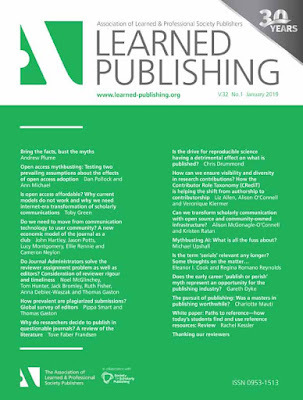 The survey asked for journal editors to provide their experiences of text similarity and plagiarism in submitted articles, in the hopes of providing greater insights into how common this phenomenon is, and how cases are dealt with. Although statistics from similarity checkers (e.g. iThenticate) can be used to report on duplication, they do not provide evidence of plagiarism. Equally, using retractions as evidence only identifies plagiarism that has not been discovered during review. This survey hoped to reveal information from the peer review process, where similarity and plagiarism might be manually detected and dealt with, resulting in either rejected articles, or major alterations of text, and the ways in which this process occurs. The survey received 372 responses; 119 from Asian editors, 112 from European editors, and 57 from editors in North America. These editors estimated that plagiarized or duplicated content would feature in around 15% of all submissions, however their actual experience of such cases amounted to just 2–5% of submissions. Among the results described in the paper, over 40% of editors reported no experience of suspicious submissions. Of those that did, cases were highest for Asian editors, but most problems identified in articles were resolved during submission, indicating relatively minor problems, rather than more serious attempted fraud. The paper concludes with a caution that the publishing industry should be careful not to overstate the incidence of unethical behaviours, but equally, that raising awareness of the ethical expectations of authors and of editors would be beneficial, and that there is a need for good practice guidelines that support ethical scholarly endeavours. All articles in this issue have been made free access.